Sometimes, the best treatment option for a patient isn’t immediately clear. There are a lot of variables to consider, depending on the situation and the individual – and increasingly, the individual wants and expects to be included in the decision-making process rather than relying solely on their clinician’s judgement. 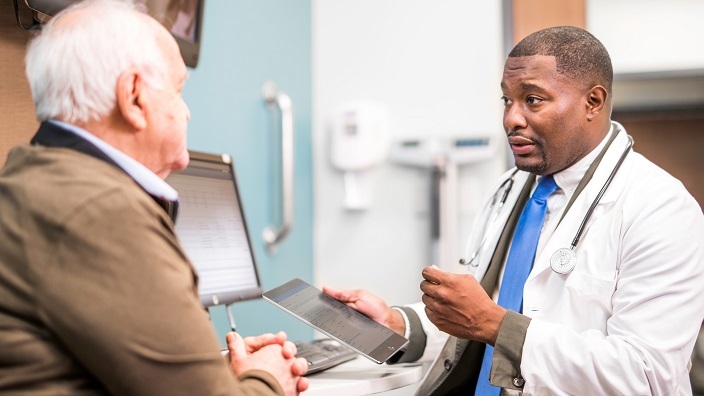 Today, arriving at a health care decision is more often highlighted to be a collaborative process between a clinician and patient – a process known as shared decision making (SDM). Based in Madison, Wisconsin, HealthDecision develops a medical software platform of tools that support this collaborative process. 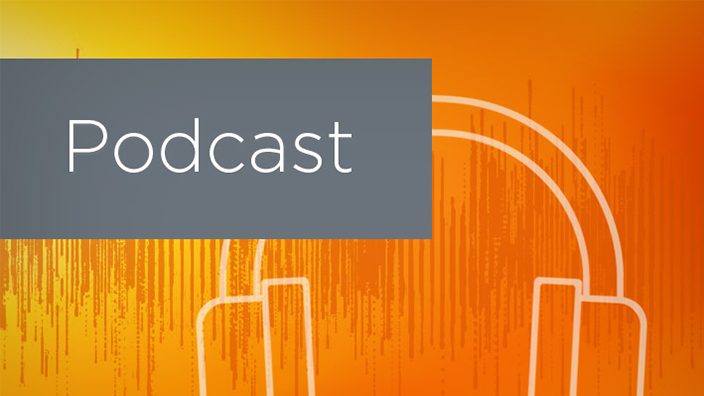 In a recent episode of The Cerner Podcast, Dr. Jon Keevil, founder and CEO at HealthDecision, sat down with us to discuss how these tools can empower focused clinician-patient discussions, where patients can gain a better understanding of their care and treatment options. First, let’s start with some definitions. What’s the difference between clinical decision support (CDS) and shared decision making (SDM)? What place does each process have within the continuum of care? Let’s start with CDS, which can be tremendously broad. It can be as simple as the list of doses that a medication can come in, or it can be as complex as the artificial intelligence that reads x-rays for us, plus everything in-between. CDS supports the process of shared decision-making, or SDM, which is a more focused process between the clinician and the patient. SDM primarily occurs with individuals who are in the same room, but it is sometimes enabled through telehealth services. SDM also occurs when clinicians and patients commit to research separately from one another, and then coming together afterwards to discuss the best path forward. What we are most interested in is that moment where a doctor and patient are working together, and when those two are thinking about and discussing health decisions together. We would like to support that collaborative relationship as a single integrated care team. Walk us through how your experience as a physician lends itself to the solutions your company creates. Was there are moment of epiphany where you realized what you needed to do? I experienced a whole series of what some people have called “epiphanettes,” or little moments of epiphany. My background was originally in computer science and engineering before I went to medical school decided to work as a physician. I entered the world preventive cardiology, which has always been blessed with a tremendous amount of data, so we actually have the ability to make some valuable predictions. There’s some decent risk scores out there, and in the early 2000s, some of those scores started getting put into the recommendations for the guidelines and the workflow. As a clinician, I quickly realized that there were many complex steps that were expected of me, but I needed help. Physicians can’t be expected to have an impeccable memory, so we need to have easy access to data to support our decisions. I was trying to figure out how to get support by using the data at my fingertips. I built the first tools to use for my patients in an attempt to try to improve the process. Over the decades, we started putting these tools on the web, and pretty quickly after that, we started to connect with EHRs on an early scale. That eventually took off, and I became more and more involved in the process of developing these tools. How do you think development of FHIR and open standards will empower you as a physician or as a tool designer? What might this development trend mean for SDM tools, like the ones HealthDecision designs? I am personally really excited about the development of FHIR and open standards. We first tried integrating with EHRs back in 2010, before we had standards, and at that point, EHR vendors saw smaller companies like ours coming to them and asking them to build APIs. There were too many instances like that. 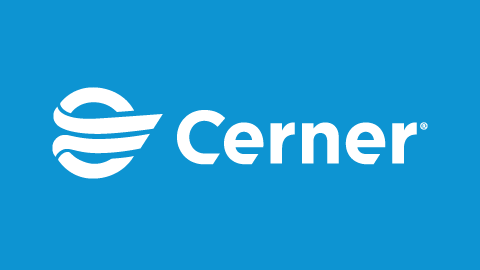 Health IT vendors want integrations like ours, but it was impossible to manage all of them. And for companies like ours, each EHR would present additional challenges, so both groups had too much work to handle logistically. I’m happy that we now have an industrywide standard in FHIR. 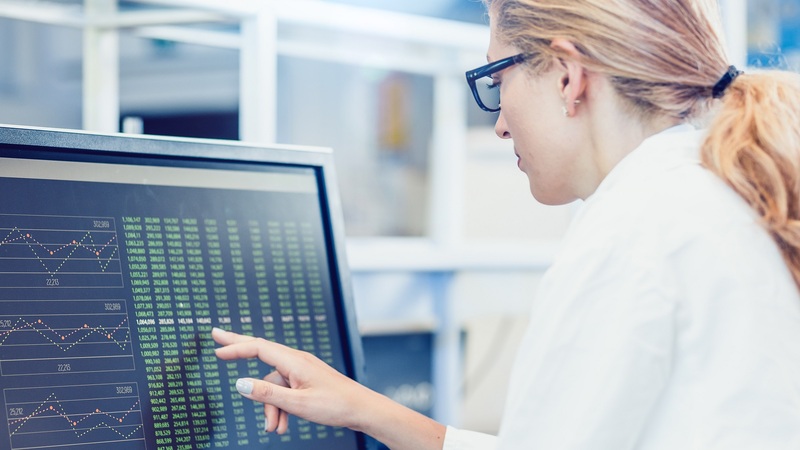 As that grows and becomes more sophisticated, the way that we connect within the whole framework of interoperability is great for companies like ours, as it is for our EHR partners. We’re all speaking the same language. At this point, we can now put our effort and energy into developing tools and benefitting patients instead of getting hung up on how we integrate with one another. Can you speak to the future state of shared decision making? How do you see this area evolving in the health care industry over the next 3-5 years? There’s a lot of discussion about shared decision making right now. There are very few people who don’t want to incorporate this into their day-to-day, and a lot of health care professionals perceive themselves as already doing this. 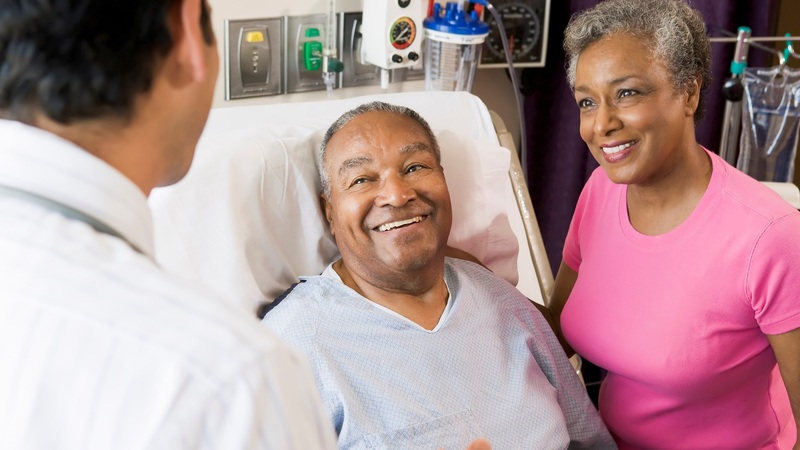 In a clinician’s ideal situation – that is, they have all the data, they know the patient well and they know the topic well – they will implement effective shared decision-making. They will bring these elements into their practice. It’s only natural. When you ask a doctor if they take part in shared decision-making, they’ll say, “Of course, I listen to my patient.” But it isn’t that simple. The situation today is not dissimilar to where evidence-based medicine was 20 years ago. Back then, we didn’t have the tools like Google, and we didn’t have EHRs like we do today, so there was no way to really make the data available. We didn’t have metrics and methodologies to get the appropriate information at our fingertips. At the time, if you had asked a doctor if they practiced evidence-based medicine, they would have cited their literature and said that they did. Today, evidence-based medicine is comfortable for physicians, but back then, we didn’t necessarily have the right tools – simply because they didn’t exist yet. I think shared decision-making is still in that early stage, where physicians want to do it and are more than willing to do it. We’re making great strides. This is what I’ve seen [in our work] at the University of Wisconsin (UW): If you put the tool in front of them, they will use it, and they’ll use it well. 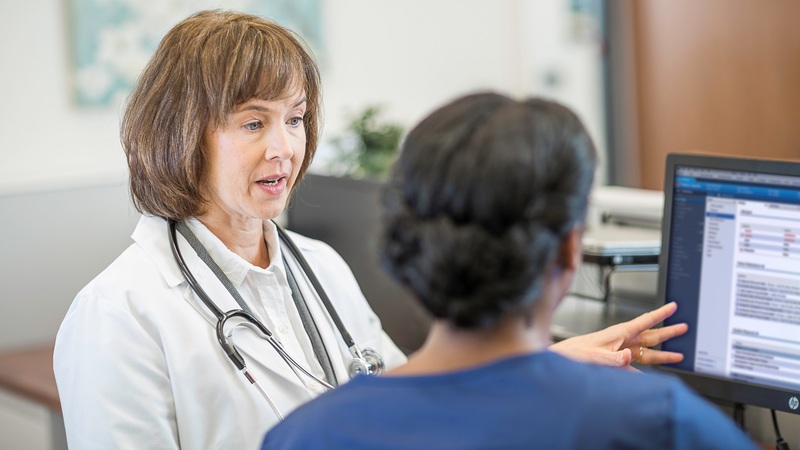 More than 75 percent of the doctors in primary care at UW are using SDM tools. They notice that it is a better way to practice. At the same time, our tool is just one nugget needed in a diverse health care ecosystem. Looking forward as a company, HealthDecision is looking to find other groups and partners so we can collectively offer a more comprehensive suite of tools that can benefit the whole patient. There are ways to address all these needs, and it’s important that we are prioritizing working with other groups and companies so we can identify areas where we can build out the meaningful tools. 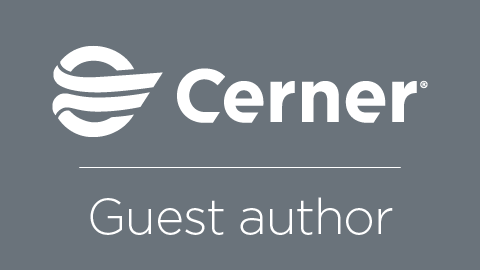 Sharing data is foundational to Cerner's patient-centric interoperability. We’re focused on strengthening patient experiences and clinical workflows. Learn more here.